In the preceding chapter I thought I ought to dwell on events some of which took place before I took up my duties, because they alone could explain the fundamental reasons why Rasputin was ever able to appear on the scene and obtain so great an influence over the Tsarina. I should have preferred to confine my book to events in which I have taken a direct part and give personal evidence only. But if I did so my story could not be clear. In the present chapter I am compelled once more to depart from the I wished to lay down for myself. If the reader is to understand me, it is essential for me to give certain details about the life and beginnings of Rasputin and to try and disentangle from the legends innumerable of which he is the subject such facts as seem to me part of history. About one hundred and fifty versts south of Tobolsk the little village of Pokrovskoye lies lost in the marshes on the banks of the Tobol. There Grigori Rasputin was born. 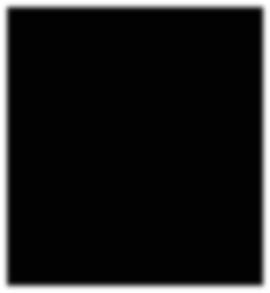 His father's name was Efim. Like many other Russian peasants at that time, the latter had no family name. The inhabitants of the village of which he was not a native, had given him on his arrival the name of Novy (the Newcomer). His son Grigori had the same kind of youth as all the small peasantry of that part of Siberia, where the poor quality of the soil often compels them to live by expedients. Like them, he robbed and stole... He soon made his mark, however, by the audacity he showed in his exploits, and it was not long before his misdoings earned him the reputation of an unbridled libertine. He was now known solely as Rasputin, a corruption of the word rasputnik (debauched), which was destined to become, as it were, his family name. The villagers of Siberia were in the habit of hiring out horses to travellers passing through the country and offering their services as guides and coachmen. 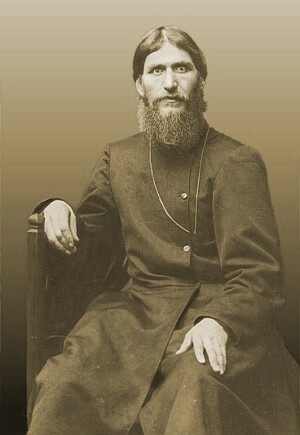 One day Rasputin happened to conduct a priest to the monastery of Verkhoturie. The priest entered into conversation with him, was struck by his quick natural gifts, led him by his questions to confess his riotous life, and exhorted him to consecrate to the service of God the vitality he was putting to such bad uses. The exhortation produced so great an impression on Grigori that he seemed willing to give up his life of robbery and licence. He stayed for a considerable time at the monastery of Verkhoturie and began to frequent the holy places of the neighborhood. When he went back to his village he seemed a changed man, and the inhabitants could hardly recognize the reprobate hero of so many scandalous adventures in this man whose countenance was so grave and whose dress so austere. He was seen going from village to village, spreading the good word and reciting to all and sundry willing to listen long passages from the sacred books, which he knew by heart. Public credulity, which he already exploited extremely skillfully, was not slow in regarding him as a prophet, a being endowed with supernatural powers, and in particular the power of performing miracles. To understand this rapid transformation, transformation, one must realise both the strange power of fascination and suggestion which Rasputin possessed, and also the ease with which the popular imagination in Russia is captured by the attraction of the marvellous. However, the virtue of the new saint does not seem to have been proof against the enticements of the flesh for long, and be relapsed into his debauchery. It is true that he showed the greatest contrition for his wrongdoings, but that did not prevent him from continuing them. Even at that time he played that blend of mysticism and erotomania which made him s o dangerous a person. Yet, notwithstanding all this, his reputation spread far and wide. His services were requisitioned, and he was sent for from distant places, not merely in Siberia, but even in Russia. It was not long before Rasputin had immense authority with his new flock. He became a familiar figure in the salons of certain members of the high aristocracy of St. Petersburg, and was even received by members of the royal family, who sang his praises to the Tsarina. Nothing more was requisite for the last and vital stage. Rasputin was taken to Court by intimate friends of Her Majesty, and with a personal recommendation from the Archimandrite Theophanes. This last fact must always be borne in mind. It was to shelter him from the attacks of his enemies for many years. We have seen how Rasputin traded on the despair which possessed the Tsarina and had contrived to link his life with that of the Tsarevich and acquire a growing hold over his mother. Each of his appearances seemed to produce an improvement in the boy's malady, and thus increased his prestige and confirmed confidence in the power of his intercession. After a certain time, however, Rasputin's head was turned by this unexpected rise to fame; he thought his position was sufficiently secure, forgot the caution he had displayed when he first came to St. Petersburg, and returned to his scandalous mode of life. Yet he did so with a skill which for a long time kept his private life quite secret. It was only gradually that the reports of his excesses spread and were credited. At first only a few voices were faintly raised against the staretz, but it was not long before they became loud and numerous. The first at Court to attempt to show up the impostor was Mademoiselle Tutcheva, the governess of the Grand-Duchesses. Her efforts were broken against the blind faith of the Tsarina. Among the charges she made against Rasputin were several which, in her indignation, she had not checked with sufficient care so that their falsity was absolutely patent to her sovereign. Realising her impotence, and with a view to discharging her responsibilities, she asked that in any case Rasputin should not be allowed on the floor occupied by the children. The Tsar then intervened, and Her Majesty yielded, not because her faith was shaken., but merely for the sake of peace and in the interests of a man whom she believed was blinded by his very zeal and devotion. Although I was then no more than one of the Grand-Duchesses' professors - it was during the winter of 1910 Mademoiselle Tutcheva herself told me all about this debate and its vicissitudes (relations between the Tsarina and Mlle. Tutcheva were never again as they had been, and the latter resigned her post in the spring of 1912). But I confess that at that time I was still far from accepting all the extraordinary stories about Rasputin. In March, 1911, the hostility to Rasputin became more and more formidable, and the staretz thought it wise to let the storm blow over and disappear for a time. He therefore started on a pilgrimage to Jerusalem. On his return to St. Petersburg in the autumn of the same year the tumult had not subsided, and he had to face the attacks of one of his former protectors, Bishop Hermogenes, who employed terrible threats and eventually extracted a promise from Rasputin to keep away from the Court, where his presence compromised his sovereigns. He had no sooner left the Bishop, who had actually gone so far to strike him, than he rushed to his powerful protectress, Madame Vyroubova, the Tsarina's all but inseparable companion. The Bishop was exiled to a monastery. Just as futile were the efforts of the Archimandrite Theophanes, who could never forgive himself for having stood sponsor in some degree for the staretz's high moral character, and thus reassuring the Tsar and Tsarina by his personal recommendation. He did his best to show him up, but the only reward for his pains was to find himself transferred to the Government of Tauris. The fact was that Rasputin managed to make the two Bishops seem low intriguers who had wanted to use him as an instrument, and then, becoming jealous of a favour they could no longer exploit for their own personal benefit, tried to bring about his downfall. "The lowly Siberian peasant" had become a formidable adversary in whom an utter lack of moral scruple was associated with consummate skill. With a first-class intelligence service, and creatures of his own both at Court and among the men around the ministers, as soon as he saw a new enemy appear on the scene he was always careful to baulk him cleverly by getting in the first blow. Under the form of prophecies he would announce that he was going to be the object of a new attack, taking good care not to indicate his adversaries too plainly. So when the bolt was shot, the hand that directed it held a crumbling missile. He often actually interceded in favour of those who had attacked him, affirming with mock humility that such trials were necessary for the good of his soul. Another element which also contributed to keep alive the blind faith in him which lasted until the end was the fact that the Tsar and Tsarina were accustomed to see those to whom they paid particular attention become objects of intrigue and cabals. They knew that their esteem alone was sufficient to expose them to the attacks of the envious. The result Was that they were convinced that the special favour they showed to an obscure moujik was bound in any case to raise a storm of hate and jealousy against him and make him the victim of the worst calumnies. The scandal, however, gradually spread from the purely, ecclesiastical world. It was mentioned in whispers in political and diplomatic circles, and was even referred to in speeches in the Duma. In the spring, of 1912, Count Kokovtzov, then President of the Council of Ministers, decided to take the matter up with the Tsar. The step was a particularly delicate one, as hitherto Rasputin's influence had been confined to the Church and the Imperial family circle. Those were the very spheres in which the Tsar was most intolerant of any interference by his ministers. 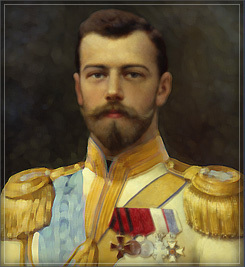 The Tsar was not convinced by the Count's action, but he realised that some concession to public opinion was necessary. Shortly after Their Majesties went to the Crimea, Rasputin left St. Petersburg and vanished into Siberia. Yet his influence was of the kind that distance does not diminish On the contrary, it only idealized him and increased his prestige. As in his previous absences, there was a lively exchange of telegrams - through the medium of Madame Vyroubova between Pokrovskoye and the different residences occupied in turn by the Imperial family during the year 1912. The absent Rasputin was more powerful than Rasputin in the flesh. His psychic empire was based on an act of faith, for there is no limit to the power of self-delusion possessed by those who mean to believe at all cost. The history of mankind is there to prove it! But how much suffering and what terrible disasters were to result from the tragic aberration!